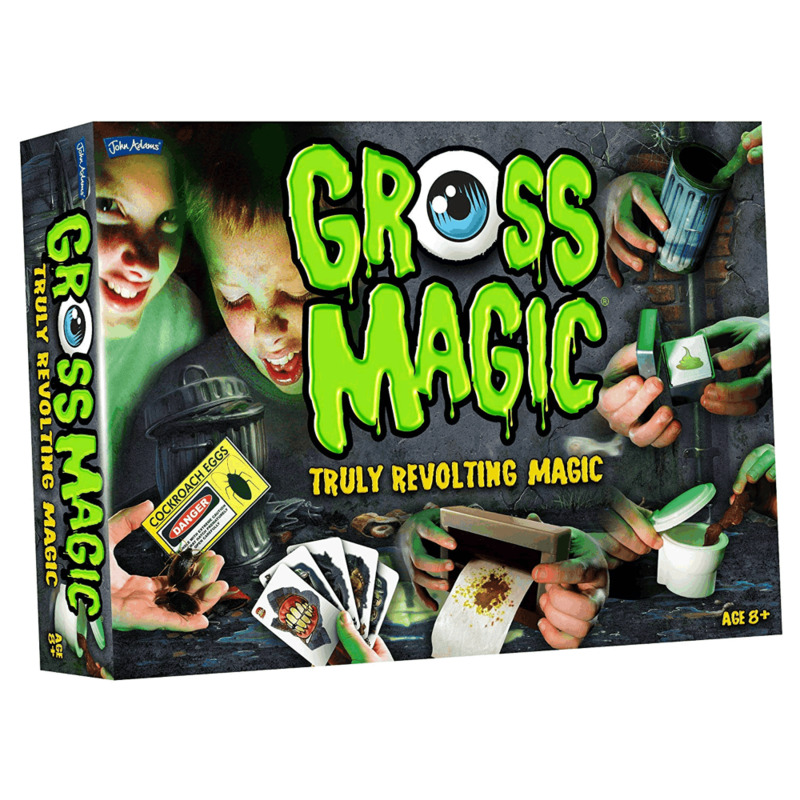 Gross Magic is just revolting, it’s the most extreme thing in magic and the magic is back but this time it’s in the toilet! Gross Magic plumbs new depths in bad taste (and bad breath), pull rubbish from an empty dustbin, convince your friends you’re handling them freshly hatched cockroaches and magically clean a piece of ‘used’ toilet paper. Contents: instruction booklet, 2 x elastic bands, small metal ring, 2 x bogie paddles, 1 x small pot with lid,1 x large pot with lid, plastic box and lid, dice, card cube, squidgy brain, loose tooth, brown slime, 1 x long vein, 1 x medium vein, 1 x short vein, dustbin with base and lid, dustbin lid liner, 4 x large sponge bogies, 8 x small sponge bogies, cockroach egg envelope, 2 x cockroach, 6 x poo cards, toilet roll machine and paper.